From the creator of the successful food blog Delightful E Made, a collection of healthy smoothies packed with protein! Loaded with fresh, simple ingredients, The Protein Smoothie Bible brings together protein, nutrition, and flavor in delicious, easy-to-make smoothies. This approachable guide to blending up smoothie success in your kitchen is the perfect way to become a healthier, happier, more energetic you! You’ll love creations such as the Strawberry Citrus Sunrise, Perfect Pear, Peach Powerhouse, and Chocolate-Covered Cherry. Anyone wanting healthier breakfast, snack, and lunch options! Eliminate the junk and swap in a healthy, protein-packed smoothie—you’ll look and feel a million times better! Busy people who don’t have much time to fix something healthy and nutritious. P.S., you can eliminate that 3 p.m. slump! Athletes and fitness enthusiasts who want more options to power their workouts. Protein smoothies with real food are the perfect pre- and post-workout fuel! Parents who want healthy snack and lunch ideas for their kids that they’ll actually like and eat! Anyone looking to lose a few pounds! Protein smoothies made with yummy fruits and vegetables are the perfect way to not only add good nutrition to your body, but also help keep you fuller, longer! No depravation necessary. 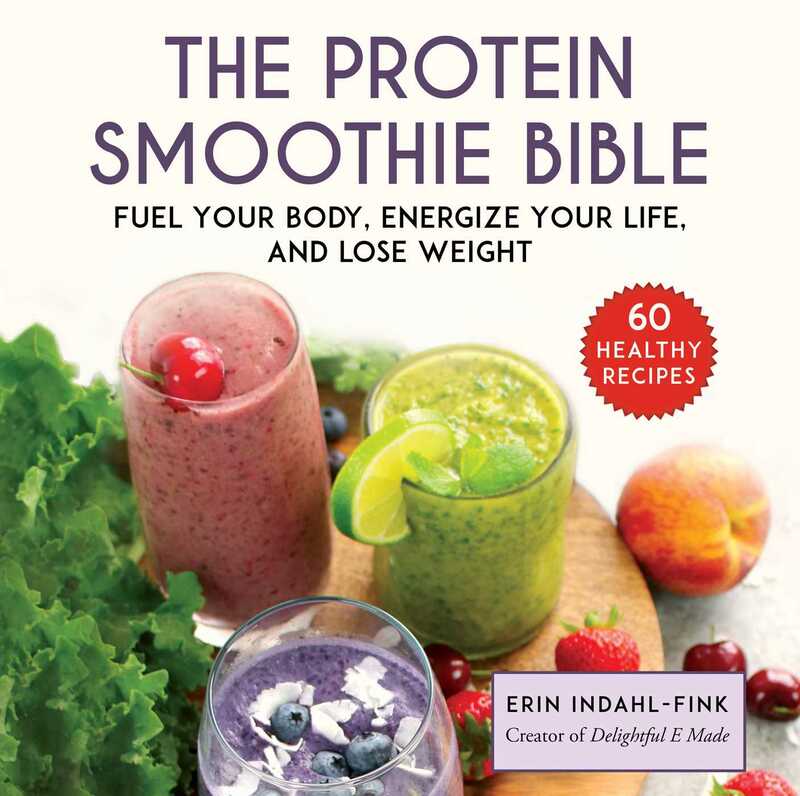 The Protein Smoothie Bible is the perfect tool to bring nutrition to your life with simple, everyday ingredients. No weirdo ingredients that you’ve never heard of here—just simple, fresh food that will help you look and feel amazing! Erin Indahl-Fink is the photographer and writer behind the successful food blog Delightful E Made. Her delicious recipes have been featured in numerous online and print publications including Redbook, Country Living, Cabin Living, Buzzfeed, Huff Post, Today Food, Parade magazine, Fitness magazine, and Women’s Day magazine. Erin and her husband, Jason, live in the suburbs of Washington, D.C., with their son, Harrison.